The estuary 't Zwin forms the border between Holland and Belgium along the Northsea coast. It is famous for its beautiful flora and fauna. Pictures by Lex Weijerman in 2007. 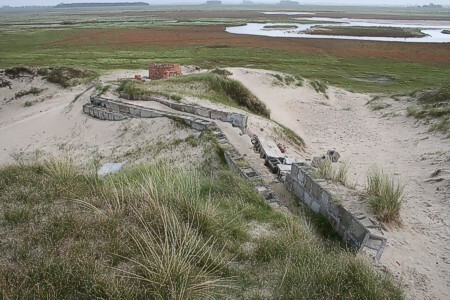 An old trench watches over the estuary.